There was just some pretty big drama in the literary world, and we’re still in shock right now, TBH. Why? Because Roxane Gay just pulled her book from her publisher, making quite the statement. So here’s the deal: According to NY Mag, Roxane Gay’s book, How to Be Heard, was originally going to be published by Simon & Schuster in 2018 via their TED Books imprint. Now it won’t be, because she’s taking a stance. 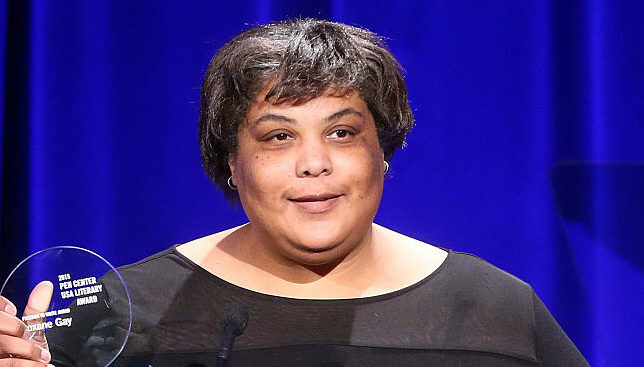 You already know that Roxane Gay is a feminist icon, and we basically couldn’t love her more. Or so we thought! We’re so proud of her right now. Basically, here’s what happened: neo-Nazi, infamous internet troll, and violent racist Milo Yiannopoulos got a book deal from Simon & Schuster. Yeah, it’s as bad as it sounds. The $250,000 deal from Threshold Editions, a branch of Simon & Schuster. Needless to say, many authors weren’t happy. The entire literary internet went into a panic as they tried to figure out the right way to protest this clearly problematic situation. Boycott the entire publisher? Tweet at them? Ultimately, people made their decisions for themselves, as is best, because there’s no one way to handle a situation as complicated as this. "We have always published books by a wide range of authors with greatly varying, and frequently controversial opinions," Simon & Schuster said, and asked readers to "withhold judgment until they have had a chance to read the actual contents of the book." All we can say is that we send major love your way, Roxane Gay. We know this took bravery, and we’re here for it.